LONDON — Global stocks were weighed down Thursday by a big buildup in U.S. oil stockpiles that depressed crude prices and shares of energy companies in particular. KEEPING SCORE: In Europe, the FTSE 100 index of leading British shares was down 0.8 percent at 7,275 while Germany's DAX fell 0.3 percent to 4,946. 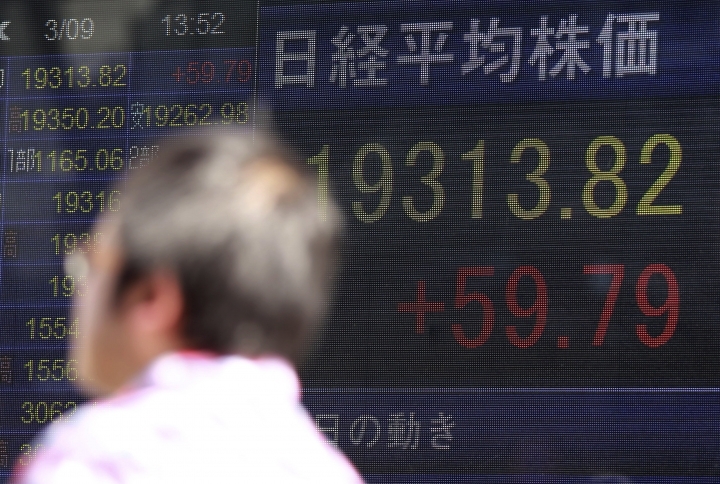 The CAC 40 in France was 0.3 percent lower at 4,946. U.S. stocks were poised for a lower opening with Dow futures and the broader S&P 500 futures down 0.2 percent. EXCESS ENERGY: Oil reserves grew by 8 million barrels last week, far more than analysts expected, according to a report by the Energy Information Administration. The news triggered a sell-off in energy-related shares and oil futures, with benchmark U.S. crude losing $2.86, or 5.4 percent, to close at $50.28 a barrel, its biggest drop in more than a year. Prices continued to fall Thursday, with the benchmark rate down a further 2.3 percent at $49.13 a barrel. Brent was 2.1 percent lower at $52.02 a barrel. ANALYST INSIGHT: "The consequence of the increase in U.S. oil rigs since mid-May last year has now become alarmingly visible in U.S. crude oil production," said Bjarne Schieldrop, chief commodities analyst at SEB, the leading Nordic corporate bank. ECB'S DRAGHI IN FOCUS: Mario Draghi, president of the European Central Bank, will be in focus after the bank opted to keep interest rates and its monetary stimulus unchanged. Draghi will hold a press briefing at which he will likely be quizzed about the future of the stimulus given inflation in the 19-country eurozone is now running around the bank's target and growth is heading higher. THE QUOTE: "He is likely to note that the recent progress is fragile and more headwinds could be expected in an attempt to keep the euro trading around its current levels that are benefiting growth in the euro area," said Konstantinos Anthis at ADS Securities. US PAYROLLS LOOM: There's also a focus on the Federal Reserve ahead of next week's meeting, which many in the markets think will herald another interest rate hike. Whether the central bank does hike rates could hinge on Friday's nonfarm payrolls report for February. CURRENCIES: Ahead of Draghi's briefing and the payrolls data, currencies were steady. 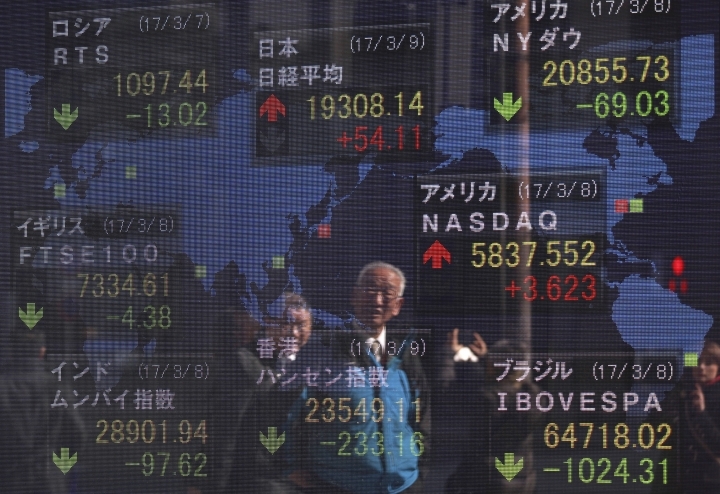 The euro was up 0.1 percent at $1.0552 while the dollar rose 0.2 percent to 114.60 yen. 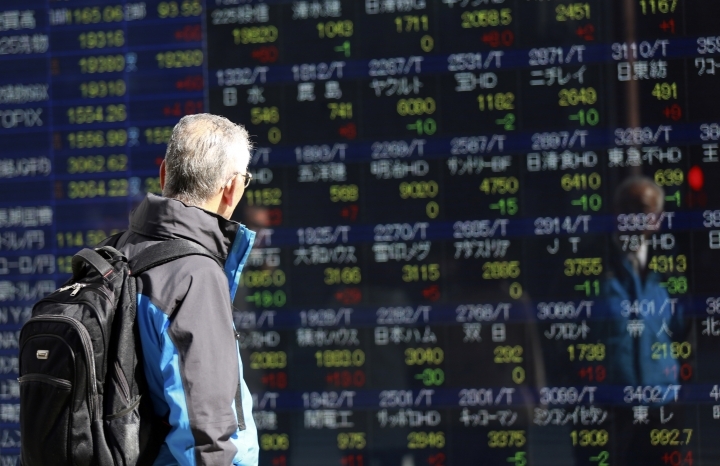 ASIA'S DAY: Japan's benchmark Nikkei 225 index climbed 0.3 percent to finish at 19,318.58 as a weaker yen lifted shares of exporters. 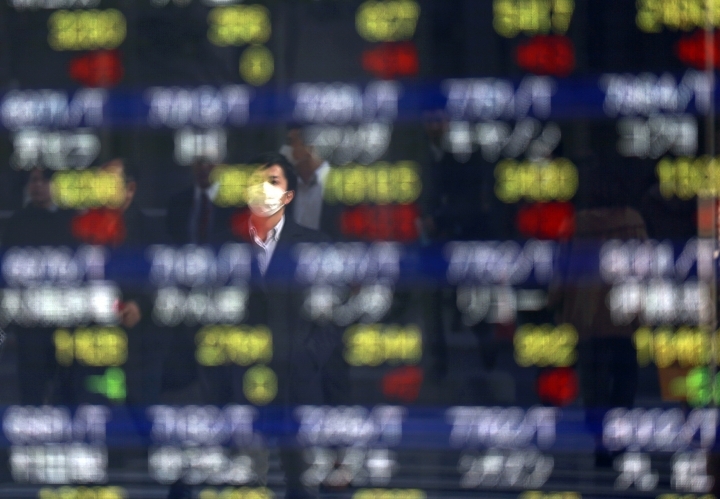 South Korea's Kospi dipped 0.2 percent to 2,091.06 and Hong Kong's Hang Seng lost 1.2 percent to 23,501.56. The Shanghai Composite index in mainland China slid 0.7 percent to 3,216.75.